How To Video’s- We Make It Easy! Atlas Life’s as big as you make it. America’s Best Bumper-to-Bumper Limited Warranty. * Period. Fun to drive. Easy to cover. A New Vehicle Limited Warranty** covering 6 years or 72,000 miles, whichever occurs first, isn’t generous; it’s proof of our confidence. A warranty built for two. If you sell your Atlas, the remainder of the New Vehicle Limited Warranty** transfers to the new owner at no cost to you. Compare our warranty to the runners-up. *Claim based on manufactures’ published data on length and transferability of car and SUV Bumper-to-bumper/Basic warranty only. Not based on other separate warranties. **6 years/72,000 miles (whichever occurs first) New Vehicle Limited Warranty on MY2018 and newer VW vehicles, excluding e-Golf. See owner’s literature or dealer for warranty exclusions and limitations. Three rows isn’t a crowd. Atlas accommodates three rows of seats with ease. Each row is large enough for kids, adults, or a combination of both to sit comfortably. With the 2nd and 3rd rows folded down, the Atlas has 96.8 cubic feet of cargo space. You may need more stuff just to take advantage of it. Come in for a grille-to-grille comparison. There’s a lot more to the Altas than what you see here. 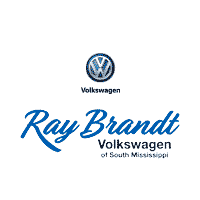 Volkswagen of South Mississippi	30.444880, -88.898193.